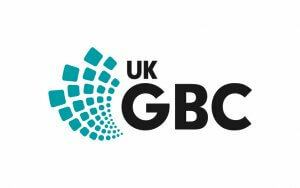 It’s World Green Building Week (24 – 30 September) and we ask Julie Hirigoyen, Chief Executive of UKGBC (UK Green Building Council), to share her views on how green mortgages can help us reduce the amount of carbon emissions from our homes. This week is World Green Building Week and the focus this year is on sustainable housing. Homes are a particularly important issue to address because they account for around 30% of the UK’s carbon emissions through the energy used for heating, lighting, cooking, hot water and appliances. It is important to focus on homes because of the sheer scale of the challenge. To achieve our national carbon target of an 80% reduction in emissions by 2050, we will need to improve almost all of the UK’s 26 million homes with energy efficiency retrofits. That means we need to retrofit more than 1.5 homes every minute between now and 2050! To help meet this challenge, we’re expecting the Government to publish an action plan on energy efficiency next year. Following the recommendations from the Green Finance Taskforce, it is expected that the action plan will focus heavily on the development of a green mortgage market to help fund the retrofit of properties. This is clearly not a new idea and Ecology has been offering their pioneering C-Change mortgages for several years now. UKGBC has also been working to help kick-start this market over the past few years, first through the LENDERS project which focused on energy performance and mortgage affordability and currently through the pan-European Energy Efficiency Mortgages Action Plan (EeMAP) project. The EeMAP project is currently running a pilot phase for the development of a green mortgage label and we were delighted to hear the news that Ecology have signed up to the pilot. The sudden interest from Government in these initiatives and green mortgages is of course welcome, but it will not be a silver bullet solution for home retrofit. The concern is policy makers will get preoccupied in their action plan, trying to encourage mortgage lenders to set up innovative new products, and ignore the crucial issue of stimulating consumer demand for energy efficiency improvements themselves. To use an obvious analogy, mortgages are fundamental to the operation of the housing market, but any lender could tell you that it’s quite difficult to sell someone a mortgage if they have no interest in owning a home! That is the problem faced all too often with energy efficiency, so is it any wonder that the major lenders haven’t yet followed Ecology’s lead in this market? If we are to create a mass market for energy efficiency then we need to get householders interested in buying it. That means tax incentives such as varying stamp duty in line with energy performance and the introduction of robust regulations such as minimum standards and consequential improvements. It is laudable that the government wants to support the development of green mortgages, but it also has a more fundamental role to play in stimulating demand for home retrofit itself and work in tandem with lenders such as Ecology to enable more people to make their existing property more energy-efficient. 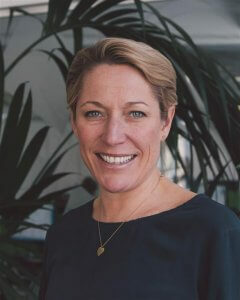 Julie Hirigoyen is Chief Executive of UKGBC which aims to improve the sustainability of the built environment. Read about how Andy and Lorna retrofitted an old railway cottage to Passivhaus EnerPHit with the help of a C-Change mortgage from Ecology.